Kiwi AKA Alex Warren is apparently enjoying a studio purple patch with previous EPs and singles having surfaced to strong acclaim via Futureboogie, Correspondent, Moda Black and Optimo Music. ‘Marmora’s Theme’ EP marks his debut on Dusky’s 17 Steps – a label formed in 2014 that counts tracks from Velvit, Lo Shea, Skream and Alan Fitzpatrick among its discography – offering three originals sat next to a remix from Tuff City Kids aka Gerd Janson and Lauer. 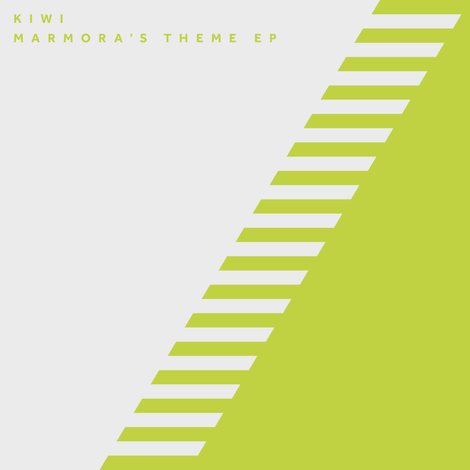 For 17 Steps, ‘Marmora’s Theme’ EP comes fresh off the back of Dusky’s ‘Cold Heart’ – a record that has been a mainstay in the aforementioned Gerd Janson’s sets all summer, possibly establishing itself as an underground smash whilst also racking up over 50 Radio 1 plays and topping the Beatport charts in the process. Retaining the trend of classy anthemic moments, the Italo-flavoured EP inaugurates Kiwi on the label. Invoking Italo, New Order extended mixes and classic piano fuelled acid house, the title track is an obvious standout and has been earning DJ support from Dusky, DJ Tennis, Gerd Janson among others. As Tuff City Kids, Gerd Janson himself joins up with Lauer to flip Kiwi’s original into a gritty, Reese-laden growler. Elsewhere on the EP, ‘OTH’ plays with the style of Kiwi’s contemporaries, Erol Alkan and Daniel Avery, for a progressive take on electronic music’s most visceral characteristics before the melodic electronica refrain of ‘Reservoir’ rounds off the package. It’s out 11 September, check it out below.